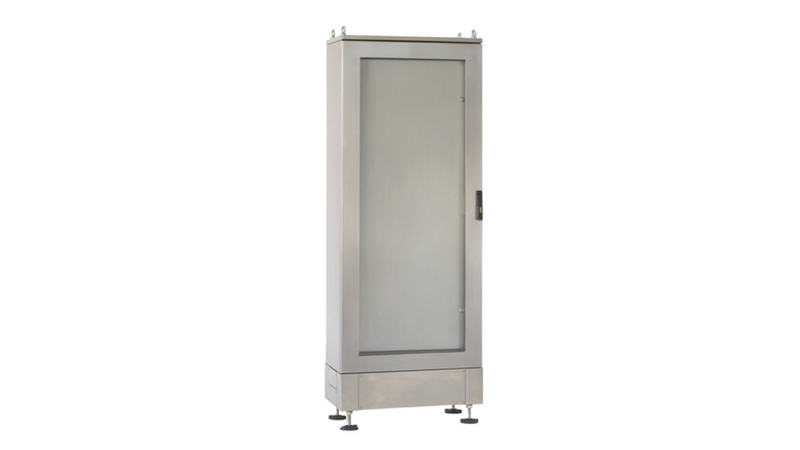 Compact cabinets in stainless steel AISI 304 or AISI 316 door panel with robust transparent Lexan constructed with self supporting frame bent and reinforced on the supporting points. Complete with wiring plate sliding in depth. Reversible front door, rear panel and roof removable. The models L = 1200 mm can be achieved with two independent doors with removable center upright (IP66) or two doors without center upright (IP55).